Episode #330 Part II: Superman Comic Book Cover Dated May 1964: Action Comics #312! Action Comics 312, May 1964! Download Episode 330 Part II! ACTION COMICS 312, May 1964, was published on March 26, 1964. It contained 32 pages for the cover price of 12¢. 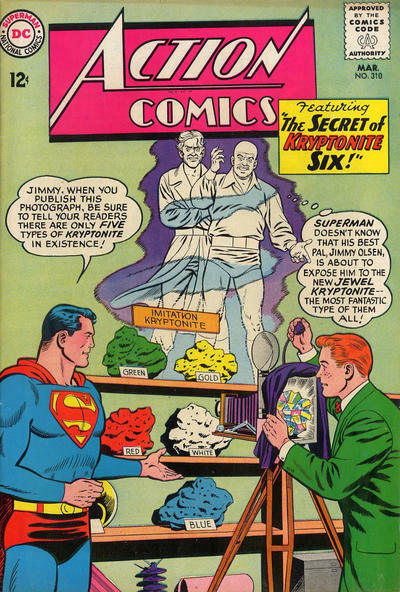 The editor was Mort Weisinger and the cover was pencilled by Curt Swan and inked by George Klein, who were the art team for the Superman story in this issue. - KING SUPERMAN VERSUS CLARK KENT, METALLO (14 pgs. ), was written by Robert Bernstein. This story has not yet been reprinted by the time this episode was posted. - Supergirl starred in the 12 page story, THE FANTASTIC MENACE OF THE L. L.'S, written by Leo Dorfman and drawn by Jim Mooney. This story has been reprinted in SHOWCASE PRESENTS: SUPERGIRL vol. II. This episode begins with a few e-mails and the monthly MY PULL LIST section, where I review the October comic books I received in my shipment from Discount Comic Book Service! 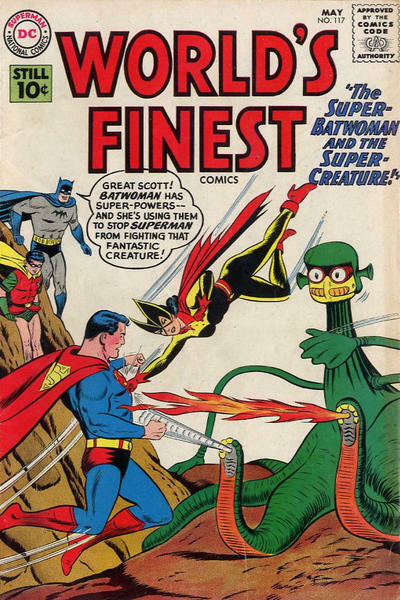 Elsewhere in DC Comics, 28 titles carried the May or May/June 1964 cover date. 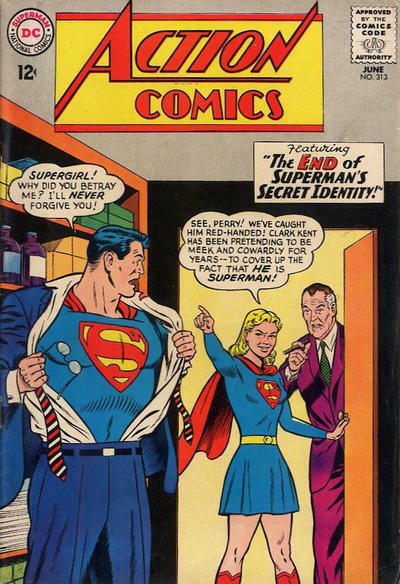 Next Episodes: SUPERMAN FAMILY COMIC BOOKS COVER DATED JULY 1961: PART I: SUPERMAN'S GIRL FRIEND LOIS LANE 26 & PART II: SUPERMAN'S PAL JIMMY OLSEN 54! Then we return to: SUPERMAN COMIC BOOK COVER DATED JUNE 1964: ACTION COMICS 313! 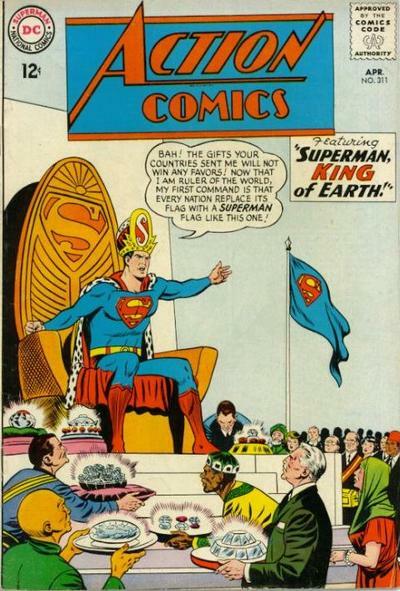 Episode #330 Part I: Superman Comic Book Cover Dated May 1964: Superman #169! Download Episode 330 Part I! SUPERMAN 169, May 1964, was published on March 19, 1964. It contained 32 pages for the cover price of 12¢. 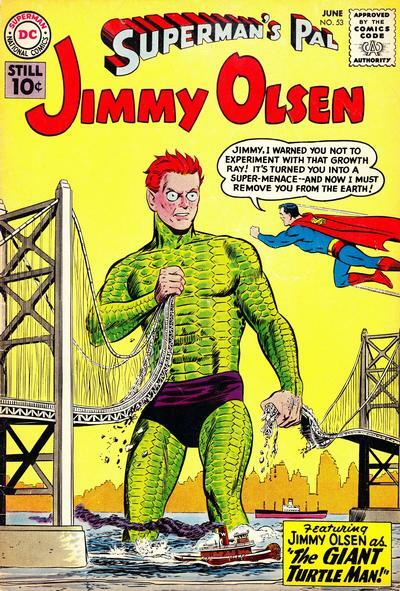 The editor was Mort Weisinger, and the cover was pencilled by Curt Swam and inked by George Klein. It featured the issue's third and final story. - THE INFERNAL IMP (8 pgs. 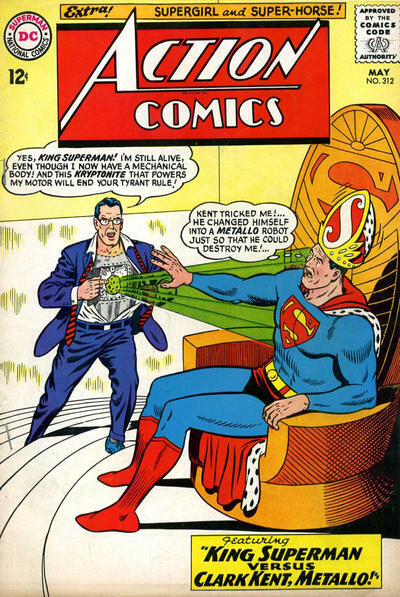 ), was written by Jerry Siegel, pencilled by Curt Swan and inked by George Klein. This was Siegel's 43rd Superman story covered in this podcast, and his 105th overall we've covered of Jerry's silver age stories. The story was reprinted in SUPERMAN FAMILY 168, December 1974/January 1975, published on September 24, 1974 (three days before my fourteenth birthday). It was a 100 page issue for the cover price of 60¢. - THE MAN WHO STOLE SUPERMAN'S SECRET LIFE (14 pgs. 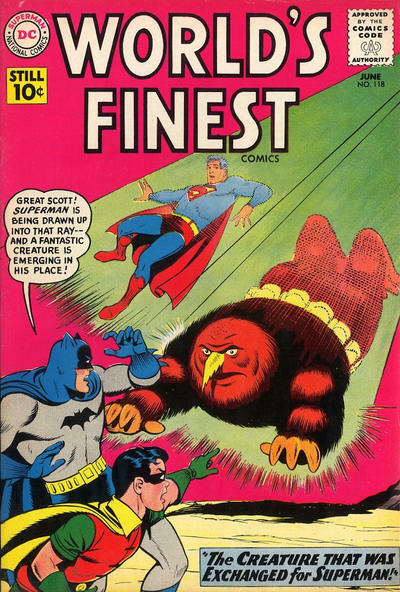 ), was written by Jerry Siegel and drawn by Al Plastino. This story was Jerry Siegel's 44th story covered on the podcast, and his 106th covered overall from the silver age. 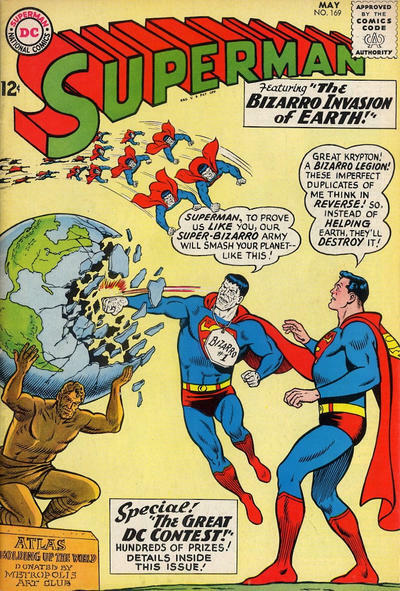 - THE BIZARRO INVASION OF EARTH subtitled THE GREAT DC CONTEST (5 pgs. 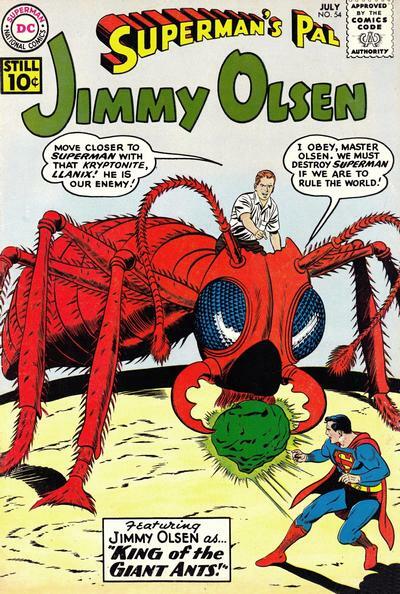 ), written by Jerry Siegel and drawn by Al Plastino. This was Siegel's 45th Superman story covered on this podcast, and his 107th overall covered from his silver age production. 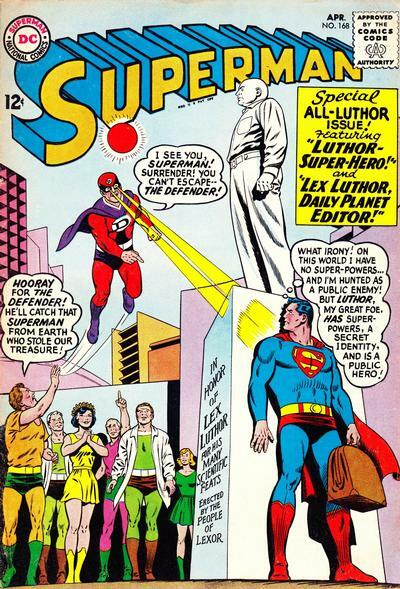 The story was also reprinted in SUPERMAN 202 (G-42), December 1967/January 1968, published on October 17, 1967. It was an 80 Pg. Giant with the cover price of 25¢. 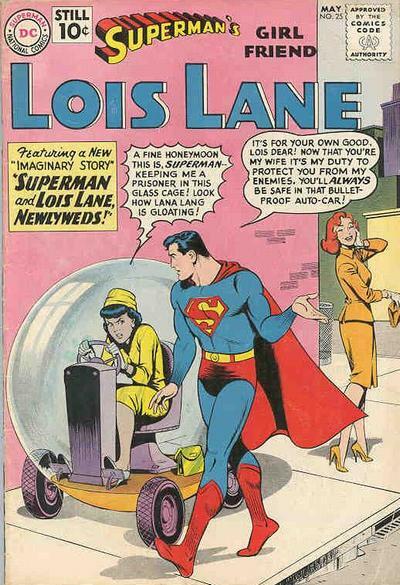 It was also reprinted in SUPERMAN IN THE SIXTIES. Also highlighted in this episode are the issue's ads and other features, including the METROPOLIS MAILBAG letter column, which explains the rules for THE GREAT DC CONTEST. Next Episode: SUPERMAN COMIC BOOK COVER DATED MAY 1964 PART II: ACTION COMICS 312! 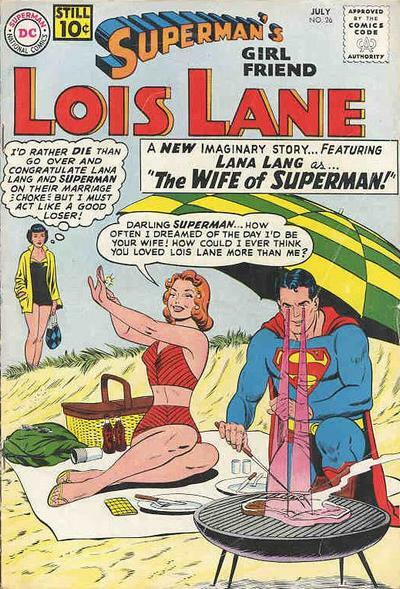 Then we will feature: SUPERMAN FAMILY COMIC BOOKS COVER DATED JULY 1961: PART I: SUPERMAN'S GIRL FRIEND LOIS LANE 26 & PART II: SUPERMAN'S PAL JIMMY OLSEN 54! We return to the Superman titles with: SUPERMAN COMIC BOOK COVER DATED JUNE 1964: ACTION COMICS 313!